The name “Accoyo” refers to an Alpaca that has been bred at Estancia Accoyo in Peru. In the United States, the name Accoyo refers to an alpaca imported from Estancia or to a direct descendant of an import from Estancia Accoyo. An alpaca is considered pure or “full” Accoyo if its parents are both pure Accoyo. Accoyo alpaca are highly desirable because of the meticulous breeding program established by Don Julio Barreda at his Estancia Accoyo ranch in Peru. His animals have become world famous because he has maintained a controlled, long-lived breeding program. The Accoyo records and breeding techniques started in the early 1940’s. Barreda was the first alpaca ranch to build fences – a revolutionary concept at the time. These boundaries allowed for pasture rotation and better nourishment creating higher fertility rates. The Accoyo production charts document a doubling of annual fleece yield per animal since 1946. During the same period, the herd’s average body weight per animal has increased twenty-five percent. Estancia Accoyo is located in Macusani, Peru at 15,000 feet above sea level. There are few places in the world where animals are raised at that altitude and the alpaca from Accoyo are exceptionally hearty. 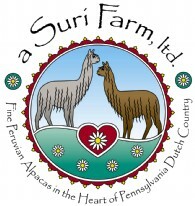 Alpaca are valued primarily for their fleece and Accoyo alpaca are known for their superior fleece, which has been proven at shows in Peru and the United States. National Geographic magazine noted that Macusani, Peru is the world center for alpaca fiber production. Peru is the only country in South America that has kept breeding records to document selection for decades. In fact, to this day, only Peru has alpaca shows to prove superior conformation and fleece in all of South America.